Disney gets in a rut from time to time. I guess they are like anyone else… sometimes the new ideas are just hard to come by. 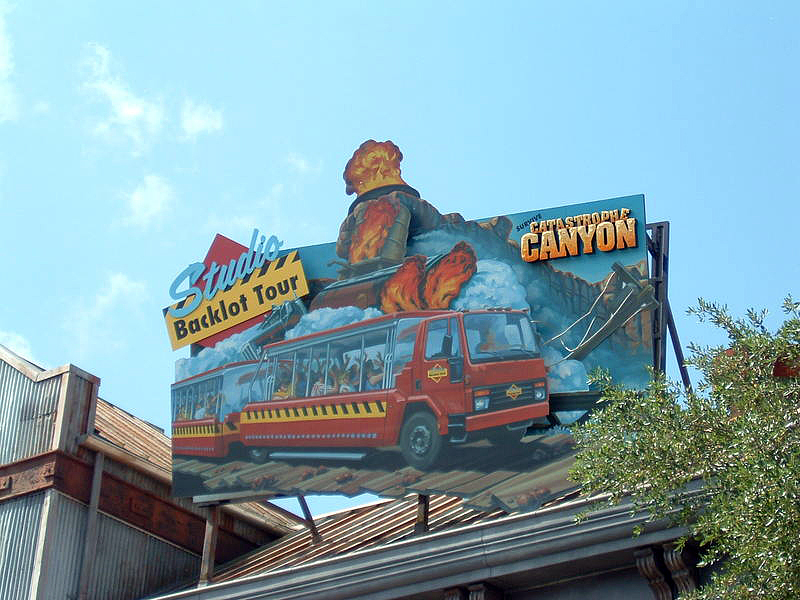 Ever been on Universal’s “Earthquake” attraction? There was a ton of stuff going on at the Disney parks in the late 80’s and it all came to a head in 1989. Splash Mountain opened at Disneyland to rave reviews, while Walt Disney World was cranking up major hotel expansions and opening three different new gated attractions; Disney-MGM Studios, Typhoon Lagoon and Pleasure Island. It also seems to be the year Disney ran out of new ideas. All of this work can be exhausting and not unlike a great athlete making that last push to the finish line sometimes you have enough gas in the tank and sometimes you run out and fall just short. You have to coast, or maybe in this case copy a little, but more on that in a bit. 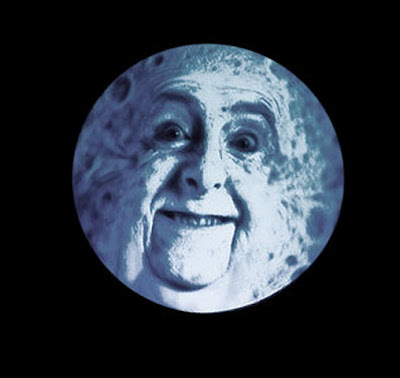 When Pleasure Island opened up at Walt Disney World Horizons was still entertaining guests at EPCOT Center and of course had a fairly creepy man in the moon image. As odd as it was it certainly paled to the outright horror of the “tribute” currently paying homage to that classic scene over at the Imagination Pavilion. have used this horrific image TWICE! 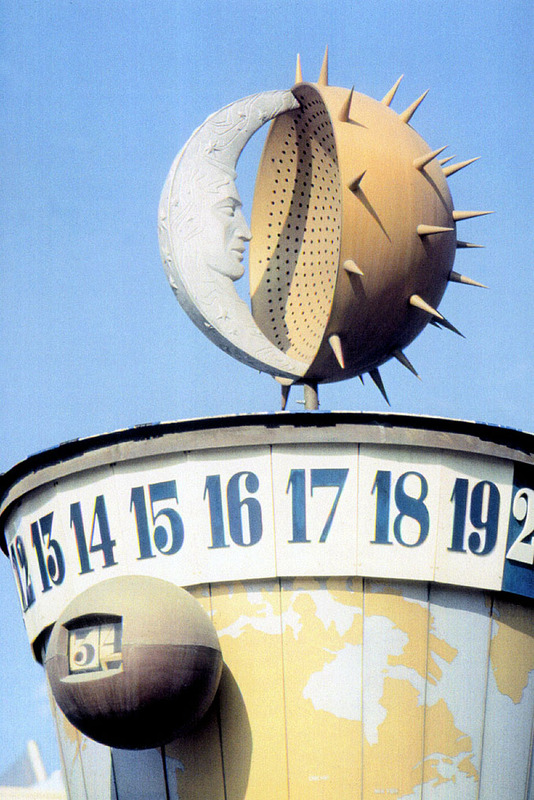 Dating back to the early days Disney has always seemed to be infatuated with images of the moon for the parks. We all recall the first time we saw the moonlit nighttime sky inside Pirates. The sky outside the original Tiki birds show had the same moonlit glow and don’t even get me started on Rocket / Flight to the Moon. 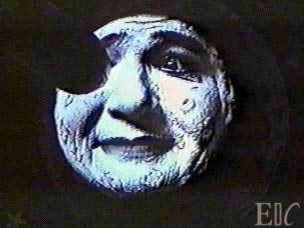 He was also a huge fan of Moon Pies. I’m not going to fall into the list trap that Shane cannot seem to avoid but suffice it to say that there are a ton of references to the moon strewn throughout the parks and films of Disney’s past. 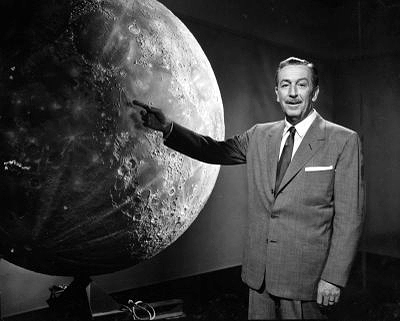 Even ye olden days of Disneyland had moons. It made perfect sense then when WDI was looking for a mascot for Pleasure Island the moon popped to mind. Have fun… I said HAVE FUN…. HAVE FUN… NOW! I mean come on… Pleasure Island was meant mainly as a nighttime experience and where does the moon live… the night baby. And so the Funmeister was born. 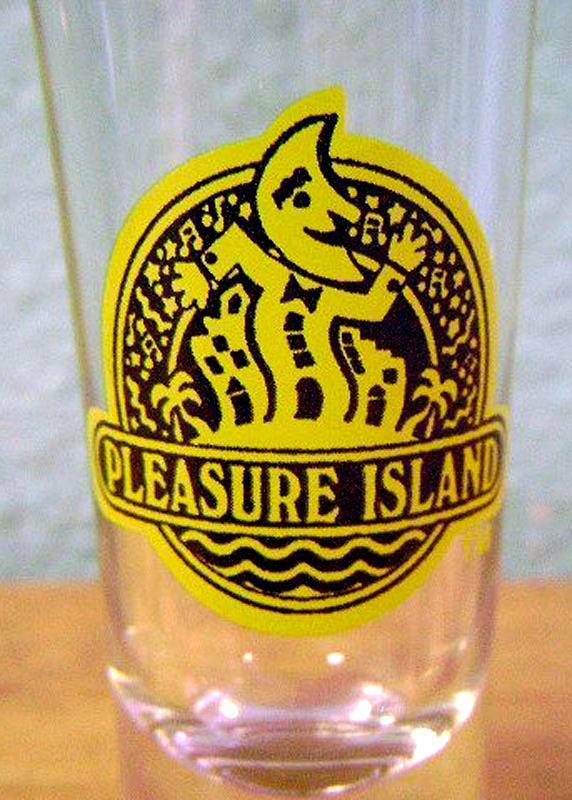 Yes… that’s right, that old Pleasure Island moon guy logo actually has a name and in the same awkward forced fun manner that most of Pleasure Island operated under back then his name is equally forced and odd. Gett’n down 80’s style, Funmeister is in da house! Afterall, what is more fun then confetti and pretend holidays? The Funnmeister was quintessential 1980’s Disney design; bright, graphic and surrounded by confetti, he looked like a refuge from the original Disney Store. and merrymaking turns every night into new years eve! He adorned signs and guidebooks and t-shirts and mugs and in general was plastered wherever Disney could fit an anthropomorphic dancing celestial body that just screamed PARTY TIME DUDE! The sad decapitated head of the Funmeister currently serves as a warning to all who may dare cross the clown. 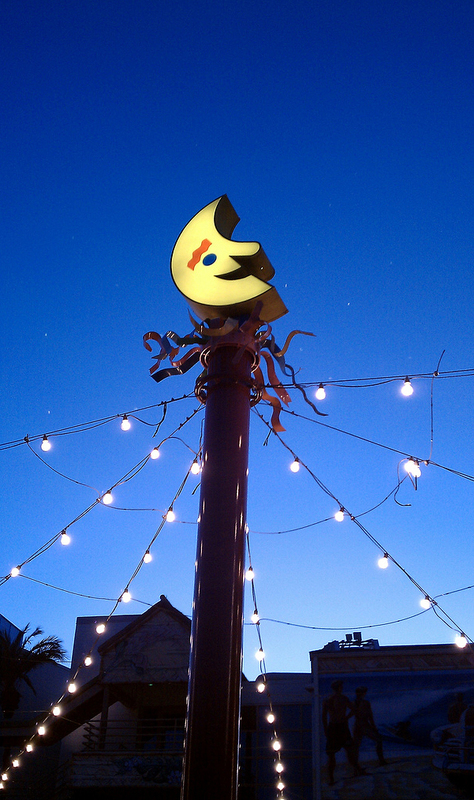 As recently as last year the Funmeister could be seen high atop a pole near Sosa Cigars next to where Motion used to be… it may still be hanging out there, the last vestige of forced fun clinging on for dear life. Separated at birth or maybe just ripped off. The things is that the Funmeister was pulling double duty a scam and a fraud… I am not sure if the same guy who was struck with the blazingly original idea of Catastrophe Canyon had anything to do with this but sure enough the Funmeister is about as original as Transformers 3. McDonald’s had been using a strikingly similar character named “Mac Tonight” since 1986, predating the Pleasure Island appearance by a full three years. Even the name seems oddly McDonald’s like… doesn’t the Funmeister room with Grimace and the Hamburglar in McDonaldland? 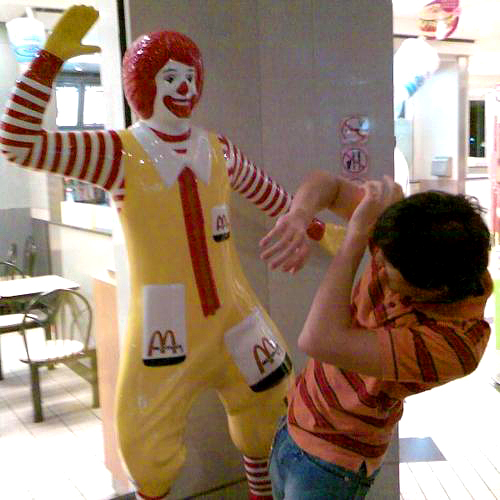 Mac was way cooler than the Funmeister could ever hope to be. Ray-Bans and a baby grand… he’s too hip for any of the Pleasure Island clubs opting for bottle service in a VIP room instead. 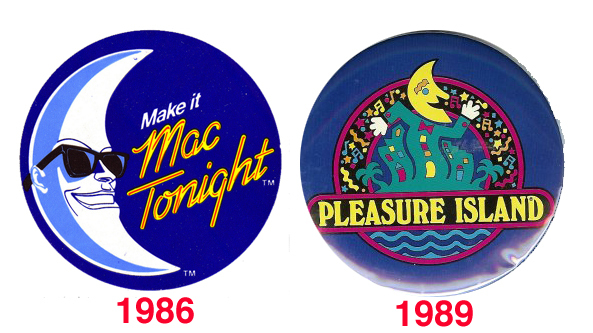 This was not some sort of obscure seldom seen oddity either, no McDonald’s was pushing Mac Tonight as their national mainline advertising campaign for a while, in fact he was still on the air in 1989 and in some Asian countries still is even today. This would be like coming up with the idea of a Scottish clown named “McDowell” or something and passing him off as your own. Wait… that’s been done already. 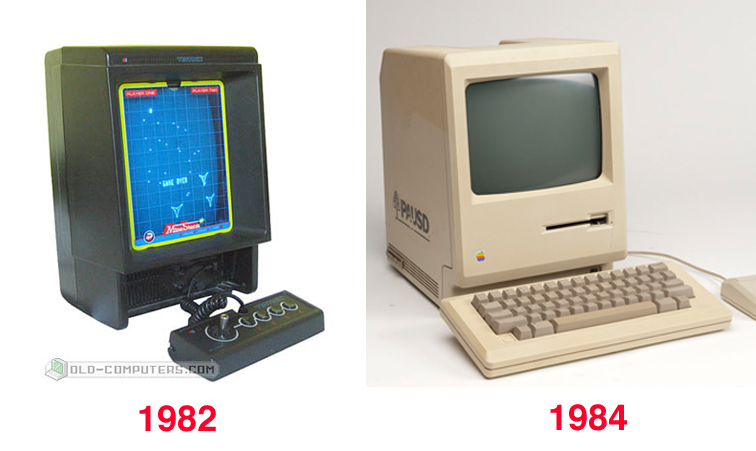 Speaking of “Mac” the much vaunted original Macintosh design was itself a rip off of the 1982 stand alone home video game console the Vectrex, but that is neither here nor there. For more on the Disney / Mac connection click HERE. 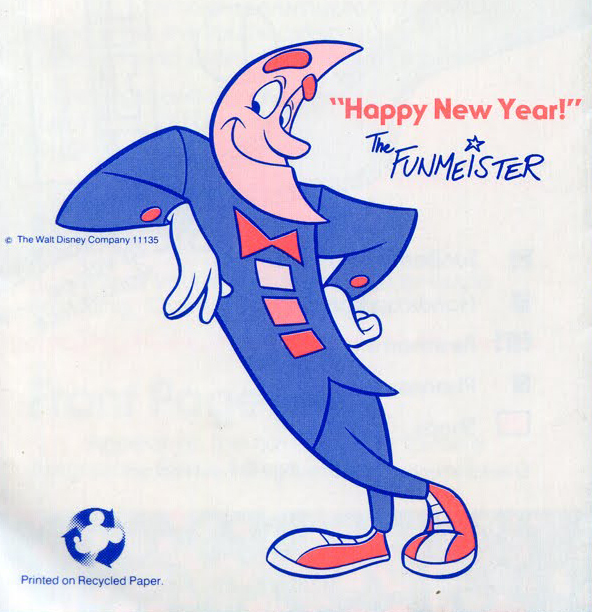 What we have learned I guess is that everyone copies is influenced by everyone else and Disney is not immune to this by any means… but come on, really, is the Funmeister the best they could come up with? 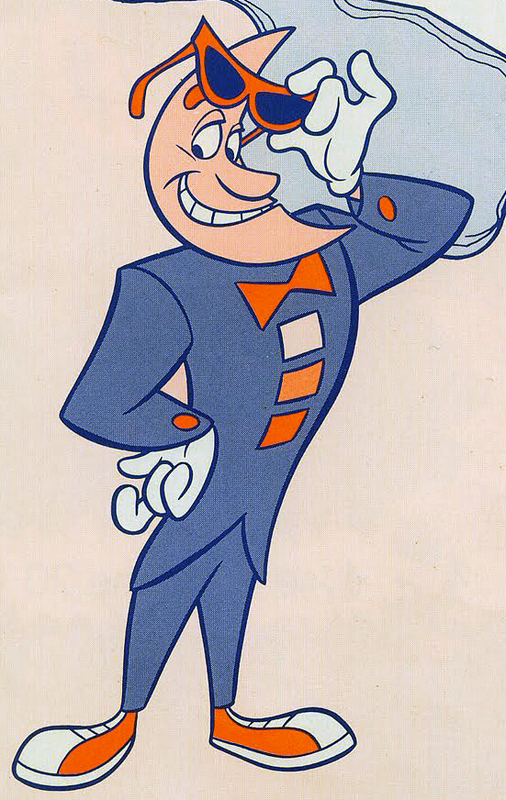 The Funmeister would not be quite so happy if he knew what fate awaited him. 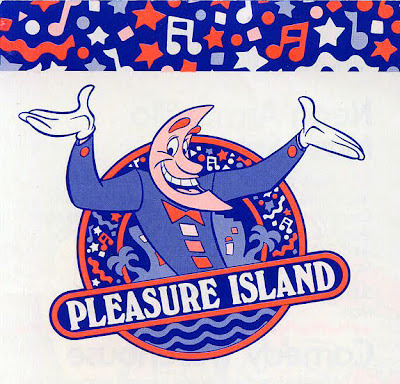 It’s all moot now as Pleasure Island moved on to a new “edgy” and even more generic logo a few years back… now much more mid 1990’s looking and text based. 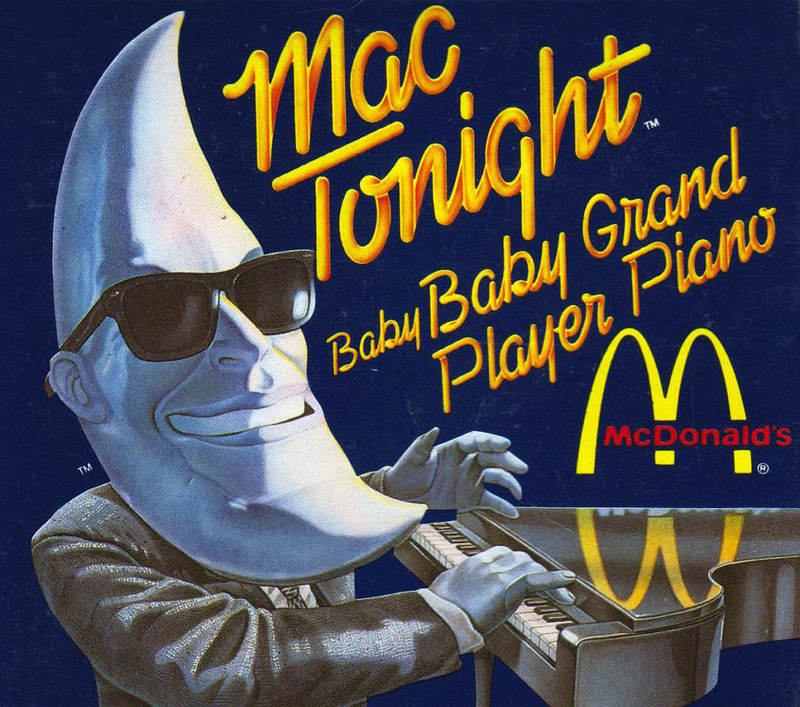 Mac Tonight vanished from American airwaves and the whole Disney / McDonald’s partnership pretty much crashed and burned… but I tell you, I have an odd craving for a Big Mac right about now! are somehting you want to add to your lexicon. Thanks to Kevin Kidney for the shot of the World Clock and to intercot.com for the Horizons moon shot. This entry was posted in Lost and Abandoned Disney Details and tagged Funmeister, McDonalds. Mac Tonight, Pleasure Island. Bookmark the permalink. Will Park Fans Enjoy Spider-Man Homecoming? Glad you enjoyed it Sarah… always nice to hear kind words… thanks! Ryan… Not sure about a walk around Funmeister but there was certainly a walk aroudn Mac Tonight. Brian… of course, and who knows, maybe even Verne had some other inspirartion. Stephen… that is actually quite clever… I don’t think I ever saw it though. I always thought the “Carpe PM – Sieze The Night” slogan was the best campaign. 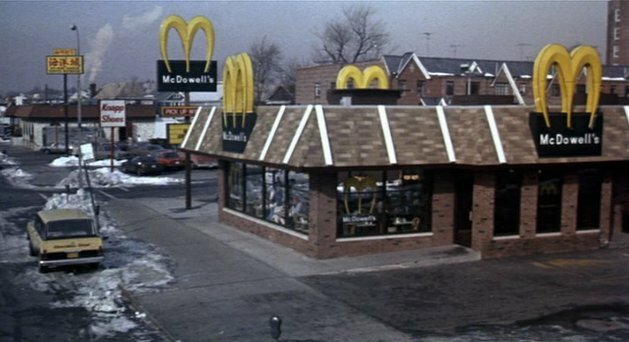 There was TOTALLY a Mac Tonight-based McDonalds store with an almost-animatronic character somewhere in the greater Chicago area. I’m sure there were more. Did Mr. Funmiester himself ever show up as a walk-around character (same question goes to the Gators at the Disney water parks)?